We’re time traveling to the days when candy was wholesome and the memories sweet. Come journey with us to relive the best old time candy! Ah, candy… Where would we be without it? Sure, we might have less cavities and maybe obesity wouldn’t be such a problem, but candy is what our childhoods are made of! How many of us remember choosing our favorite candies at the checkout aisle of stores (I loved me some Rolos) or sorting through our giant candy bin after a night of trick-or-treating? When it comes to candy, we don’t judge. We love all kinds, so to honor the sugary treat that is candy and all things dessert, we wanted to round up some old school candies that we feel definitely need to make a comeback. Why? Two words: candy. buttons. 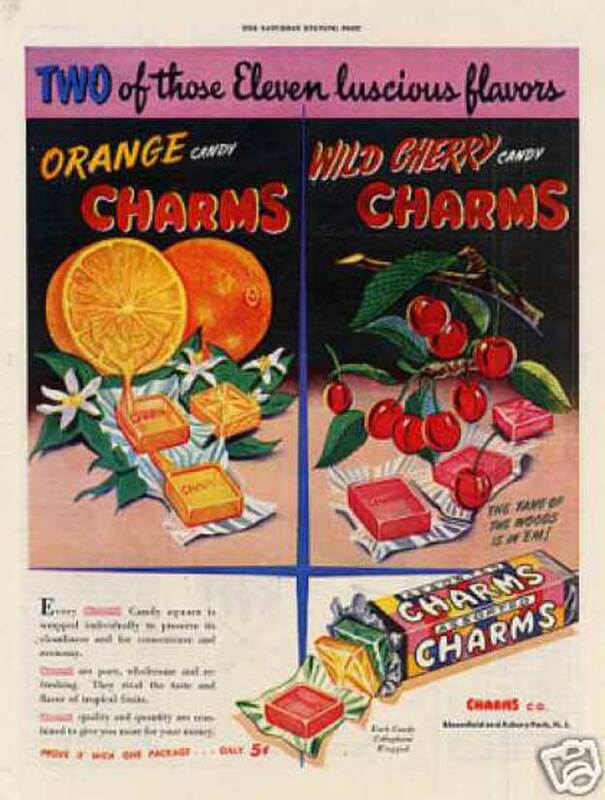 Let’s time travel to the good ol’ days when candy was reserved for good little boys and girls, the flavors were simple and the memories were sweet. Make your favorite vintage candy at home with this Candy Making-Kit from Grow & Make! Good source of calcium?! We’re sold! Did you know that Barnum’s animal crackers have been around since before the 1920s? Oh yeah, we couldn’t believe it either. These buttery cookie crackers made eating crackers enjoyable, which is not something we could’ve said too often as a kid. Rich, delicious and downright indulgent. 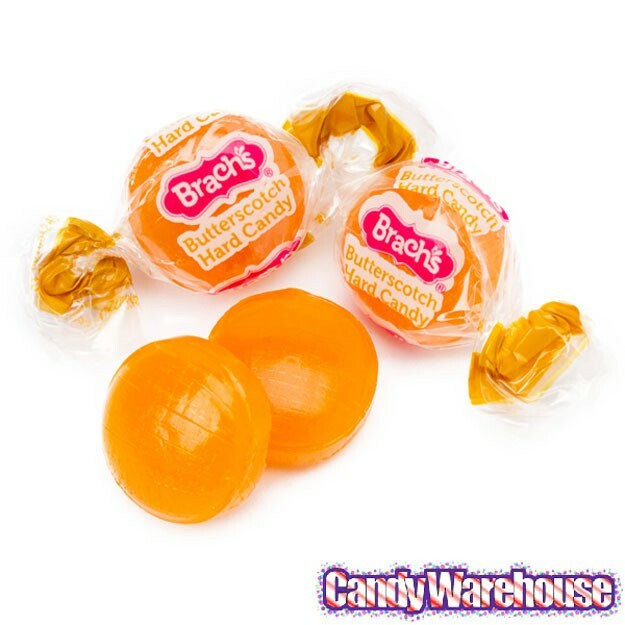 While I’ve never tried Brach’s, anything with the word “butterscotch” always catches my eye. Also known as butterscotch buttons, these little hard candies were old time treats that hungry, sweet-toothed kids always loved getting their hands on. Ooo, luscious, eh? You minx, you. Forget Monster Mash, it’s all about Cherry Mash! 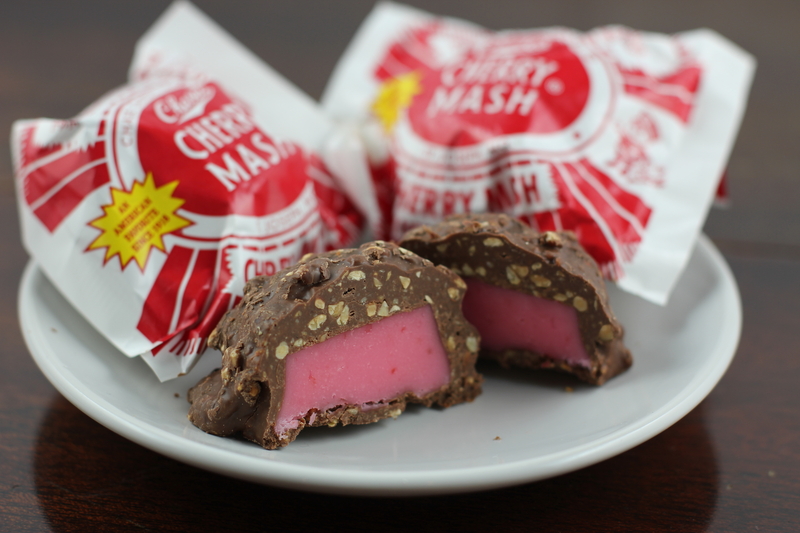 If you’re unfamiliar with cherry mash, it’s a milk chocolate coated candy with chopped roasted peanuts and a chewy cherry filling. 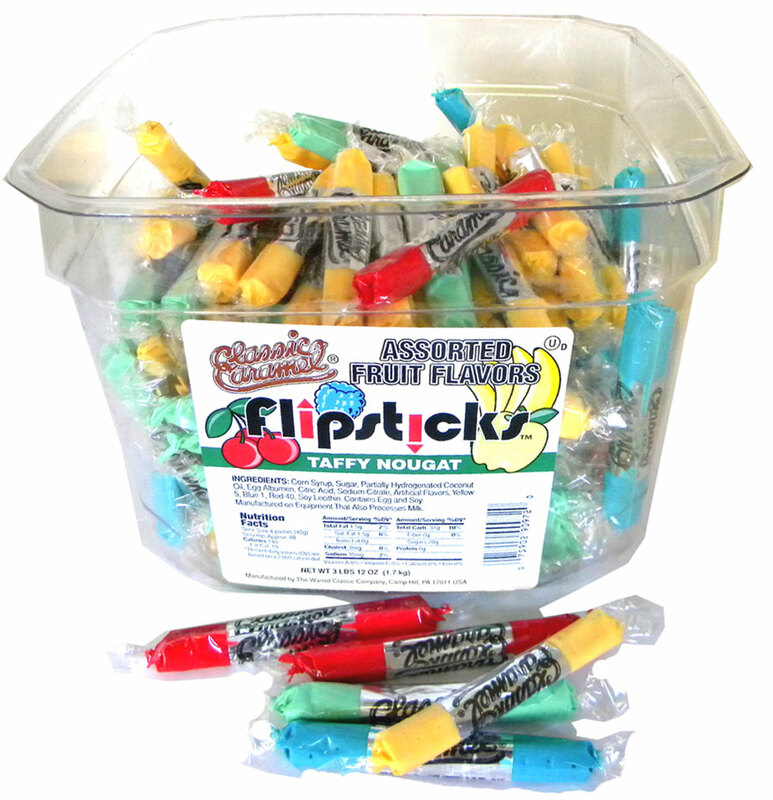 If this was your jam back in the day, rest assured in knowing that you can still buy these candies at Old Time Candy! Soft, fluffy and nothing like peanuts. Oh heck yeah! You better believe we put peanut marshmallows on this list! How iconic are these candies? I remember growing up with them and popping boatloads of these and Peeps in my mouth (I was and continue to be a huge marshmallow fan). And hey, isn’t it good to know these fellas are fat-free? We don’t know what’s cuter – Sailor Jack or Bingo. Cracker Jack is the OG old time candy snack! Who hasn’t dipped into a bag of these caramel-covered, crunchy sweet clusters of heaven? One of my favorite parts of this sweet treat were the caramel coated peanuts. I mean, peanuts and popcorn? They’re like the Sonny and Cher of duos – it just works! Regardless of whether it’s a buster or a breaker, you’d better exercise caution when eating these guys. Remember the film? Rose McGowan in her prime, baby! Loved this movie! Definitely The Heathers of the 90s. Send yourself over the moon with these delicious pies! Moon pies are absolute heaven! Who didn’t love the triple-decker graham cracker and marshmallow sandwiches that were coated in chocolate? I loved the first bite of Moon Pie as my teeth sunk into the graham crackers and met fluffy marshmallow. It was one of the treats that sent me over the moon. Get it? …don’t judge me! Hot dogs, baseball (Go Giants!) and Necco wafers define the American dream. Necco candy wafers are a classic candy. These wafers come in fruity and chocolaty flavors and make the perfect vintage treat. A classic remains a classic forever. 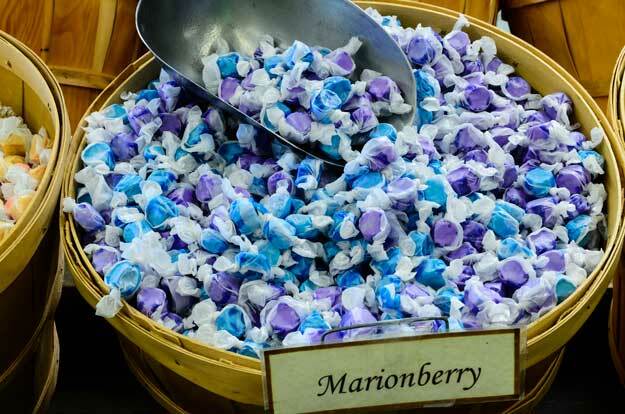 Salt water taffy is the candy that keeps on giving! It’s still a sweet treat that’s sold and consumed by the millions till this day! And it’s fairly easy to see why – salt water taffy has an indescribable, incomparable chew and comes in a ton of delicious flavors. 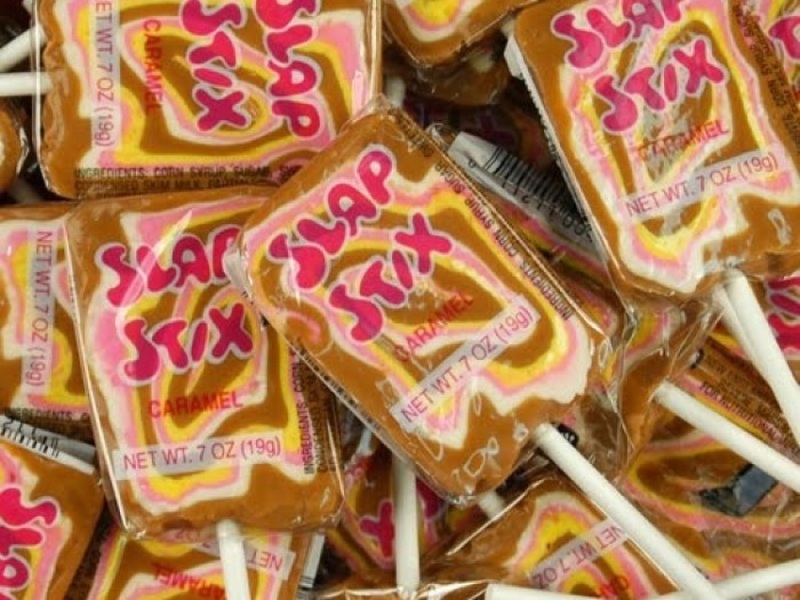 Boy, was this candy delicious! Want to see something really offensive? 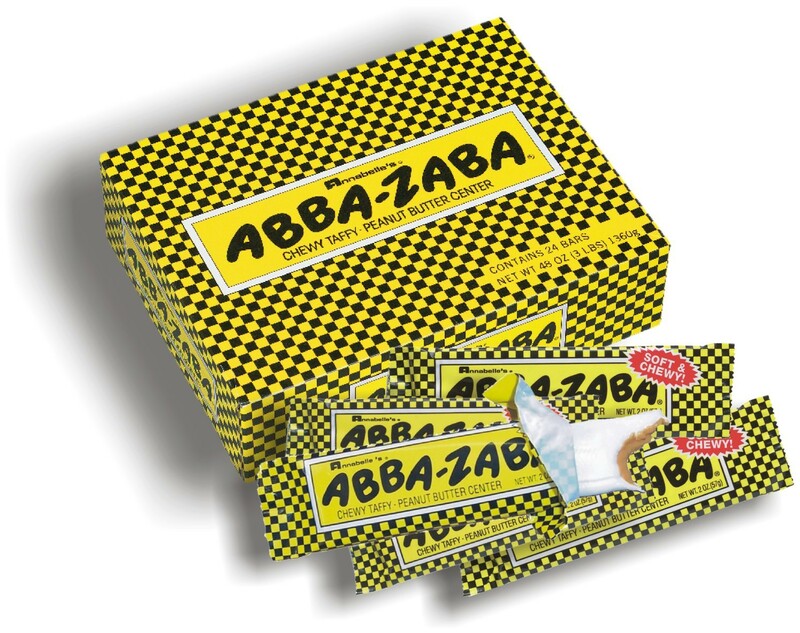 Then check out the original packaging for Abba Zaba candy. Have you seen it yet? Yeah, pretty bad, right? Abba Zaba is a chewy taffy bar filled with rich peanut butter filling that we believe is still sold in stores like the 99 Cent Store. Although, if it’s not there, know that you can always purchase these creamy, chewy treats online! “We’re talking baseball (Kluzewski, Campanella),…” Love that song and if you do too, you probably also love these B.B. Bats taffy lollipops. You better believe we were fans of the chocolate on chocolate chews! My husband loves Charleston Chews so when we discovered that the 99 Cent Store sold these on one of our weeknight walks, you can only imagine how overjoyed he became and, of course, he proceeded to buy them by the dozens. Can you blame him though? They were only 99 cents! For those unfamiliar with Charleston Chews, it’s a nougat candy that comes in 3 different flavors and is coated with chocolate. 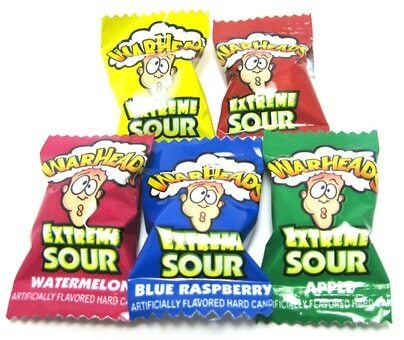 The shortest half-life of flavor on any gum, but that doesn’t mean these weren’t delicious! 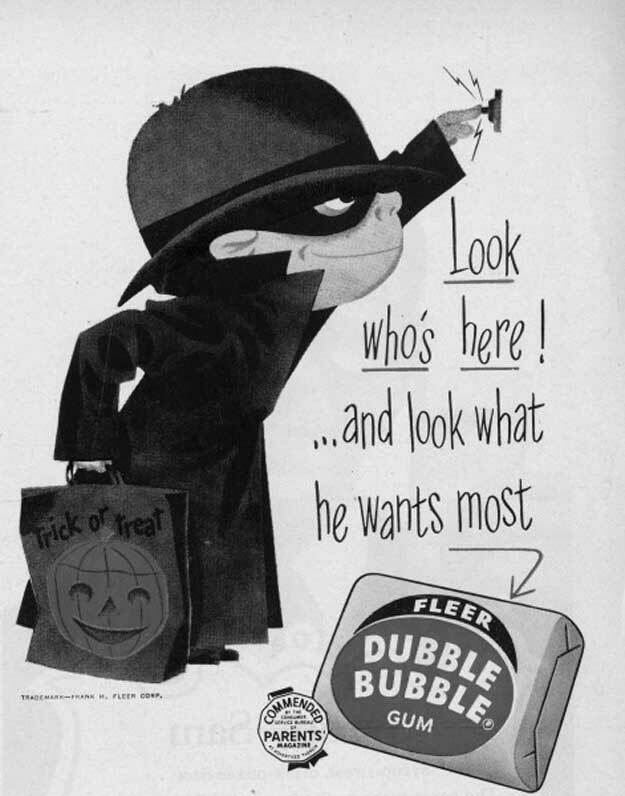 Kids just can’t wait to get their hands on a pillowcase full of Dubble Bubble, can they? Man, vintage ads are the best! Now we know where Gobstoppers gets its color scheme from. Sixlets! Delicious candy coated chocolate-flavored candy that, if not chewed properly, will probably make you choke. With that said, dig in! Who knew there was also a band called Squirrel Nut Zippers? Squirrel Nut Zippers are the ultimate chewy peanut caramel candy. And by ultimate, we mean you’ll be chewing these delicious treats for days. We see a pretty sweet Halloween costume in the making here. You can breath a sigh of relief knowing Disneyland still sells these bad boys. Sure, they’re not the original, but these suckers were so good we’ll take anything at this point. 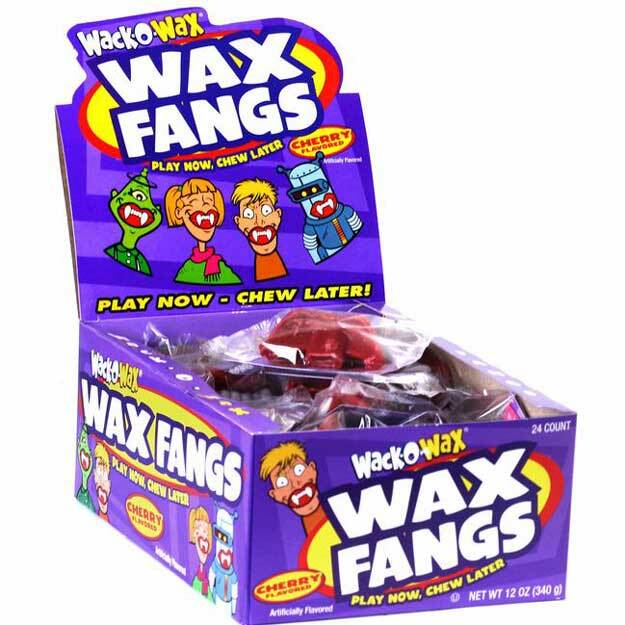 Wax Fangs… nana nana nana nana… Wax Fangs! Wax fangs, wax lips, wax mustaches…Wack-O-Wax does it all! And with a tagline like “Play now, chew later” what kind of kid could resist? 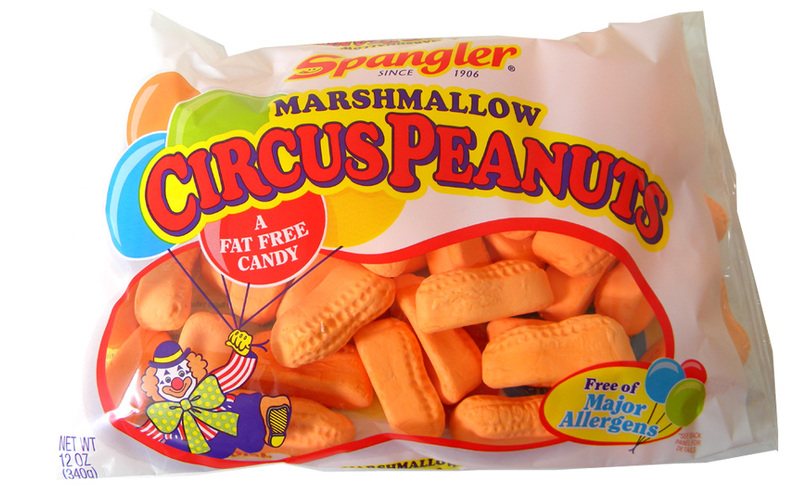 Bring back the nougat peanut candy! Note to those wanting to Google Big Hunk for images…just be sure to write candy after it or you’ll see a lot of pictures that may surprise you. You may have seen these little guys make an appearance in one of Katy Perry’s music videos. Want to make candy buttons at home? Watch this tutorial! Our favorite vegan Butterfinger substitute! It’s nice to know that Chick-O-Stick is still being used (in the most delicious way possible). The Stiff Little Butterfingers donut from Donut Friend in Highland Park, CA. Why did these ever get discontinued? Why?! For the newbies who don’t know what Mallo Cups are, think Reese’s Peanut Butter Cups with marshmallow instead of peanut butter. Pretty gosh darn delicious, if you ask us. 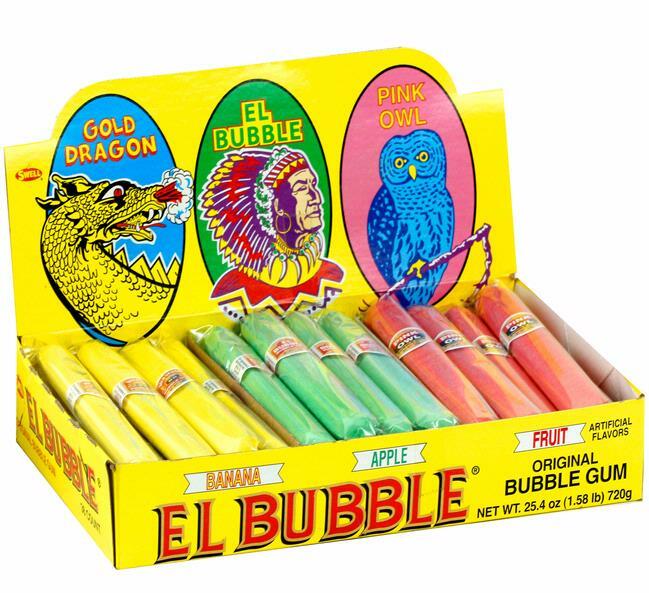 Kick your nicotine habit to the curb with these bubble gum cigars! Whoever thought candy cigars and cigarettes were a great idea for children should pat themselves on the back for coming up with the worst idea ever. With that said, we can’t deny we loved “pretending” with these bad boys when we were kids. What can we say – they made us feel cool! Top 5 Best Candies Ever Made. We call it! 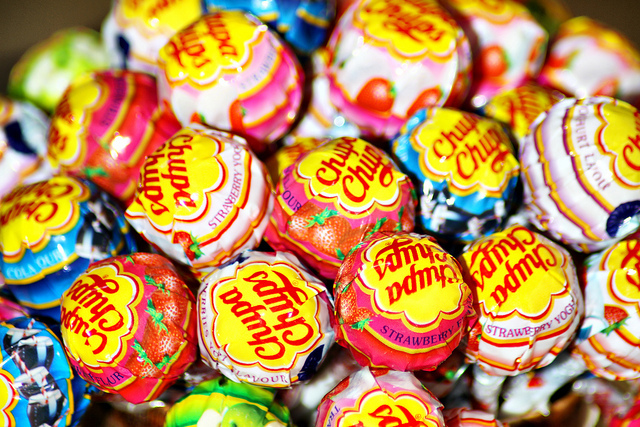 I will always love this candy. Always. The powder is delicious and the dipping stick isn’t so bad either. 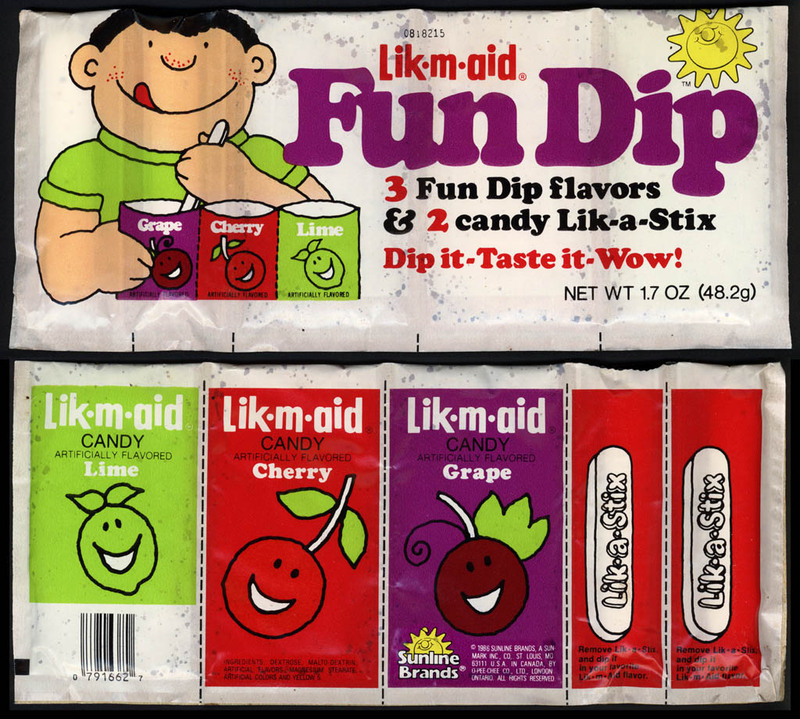 Are you a fan of Lik-M-Aid? In a time of chewy peanut butter bars, come the hard Peanut Butter Bar. These little guys are crunchy peanut butter bars that, once they begin to melt, turn into a creamy wave of goodness. 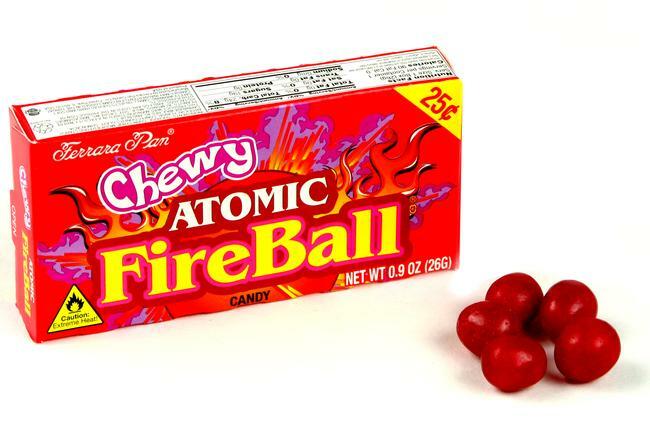 Are you brave enough to try the Atomic Fireball challenge? Ever see the Atomic Fireball challenge? Catch it below! Jewelry you can eat will probably be one of the most ingenious ideas ever. 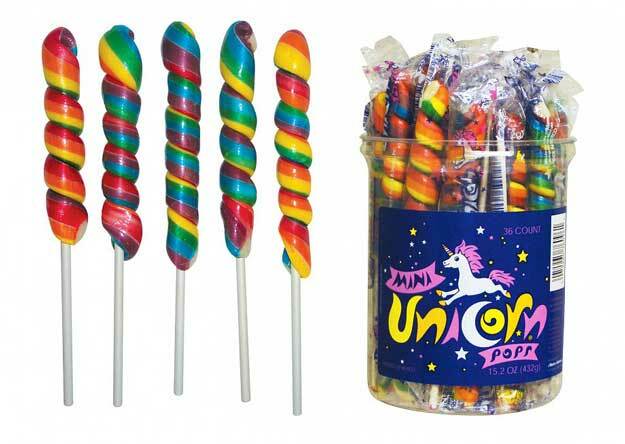 To think this candy went from innocent fun to a raver’s delight. But at least we can say ravers have great taste in candy! Mmm, marshmallow ice cream cones… Imagine a full-sized version of this? Ice cream marshmallow cones! How adorably delicious are these little guys? We think you underestimate the power of the Dark Side. 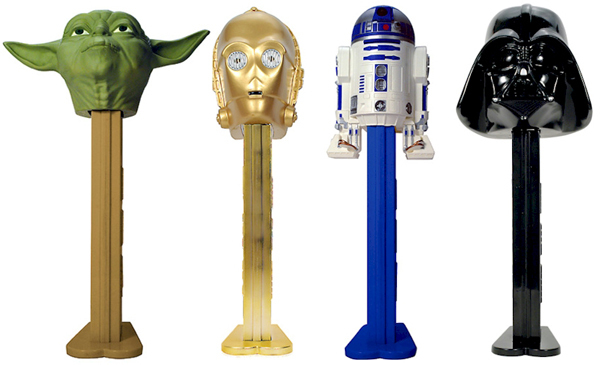 What goes together better than Pez and Seinfeld?! Portable banana splits! This must have been the candy of the future back in the day! Mmm, banana splits were one of our favorite childhood desserts so the thought of having all of those flavors in one candy chew is almost too much for us to handle. The best of both worlds: taffy and nougat. Man, nougat and taffy must be like the most popular candy ingredients in the world. Especially before the 70s! Almost every candy listed has been made out of these two ingredients, but we can’t say we blame candy makers since they’re so darn delicious. Caramel and banana may not sound like a good combo, but don’t knock it till you’ve tried it, friends. Bring these back, Olive Garden! We will write a letter! Remember the days when Olive Garden always placed these little treats on your table as an after-dinner mint? The first time I tried these, I knew Olive Garden was the place for me – family-style pasta, delicious bread sticks and Andes Mints! But this isn’t about OG, it’s about the creamy rich chocolaty goodness combined with light and uplifting peppermint filling. Who’s Chester? It’s all about Andy Capp. The precursor to Cheetos, Andy Capp’s where was it was at! 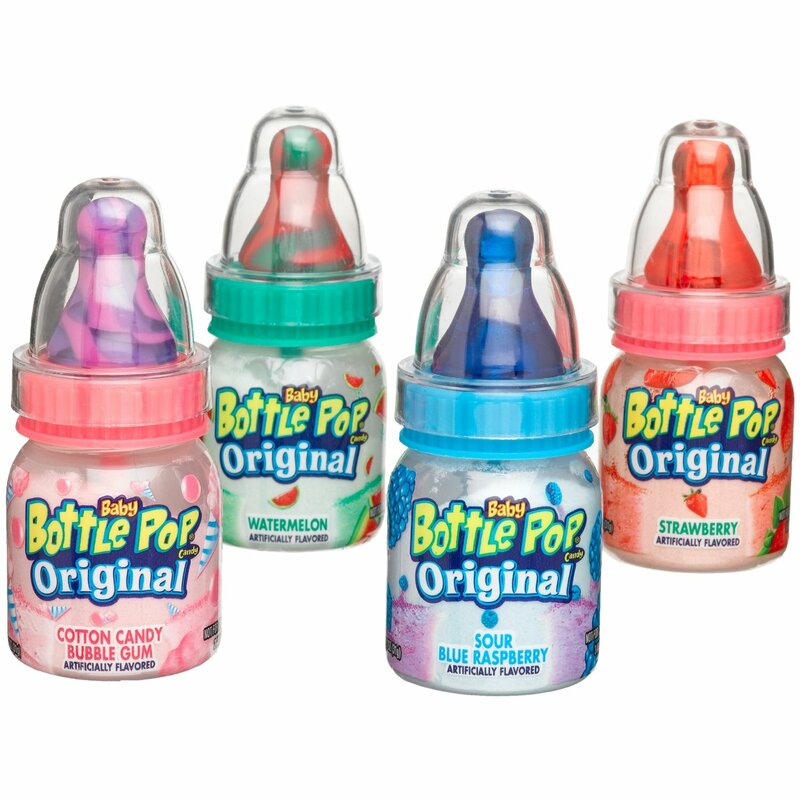 The cola Bottle Cap was our favorite; which one was yours? Soda-flavored candy? C’mon, are you trying to kill a kid! You know no child (or adult, for that matter) could resist these. These little Bottle Caps were just too darn delicious. The creepy commercial strangely enough makes us like Rolos even more! Want to see a creepily awesome vintage Rolo commercial? This is the era where candy starts to get really good! 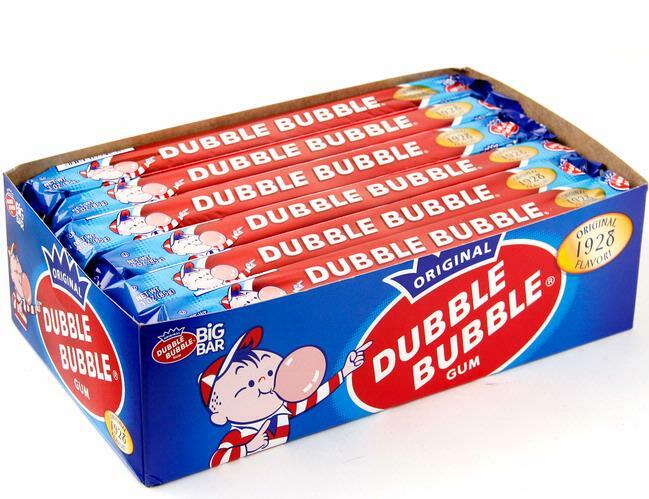 Bubble Tape was one of the most delicious bubble gums on the market and I loved that it seemingly never ended! This was the cool thing to have at school as you whiped out your Bubble Tape and ration, in very small portions, the delicious treat to your friends. Get your own, man! Do we really have to travel all the way to Mexico to get these? I mean, we will, but do we have to? Yes, yes, and more yes. Every time I travel to Mexico, I’m always sure to stock up on these suckers by the dozens. They come in rich, creamy flavors like vanilla-chocolate, strawberry-chocolate and strawberry-vanilla. If you’ve never tried these before, you must get your hands on them as soon as possible. They might look disturbing, but these taste oh so good! 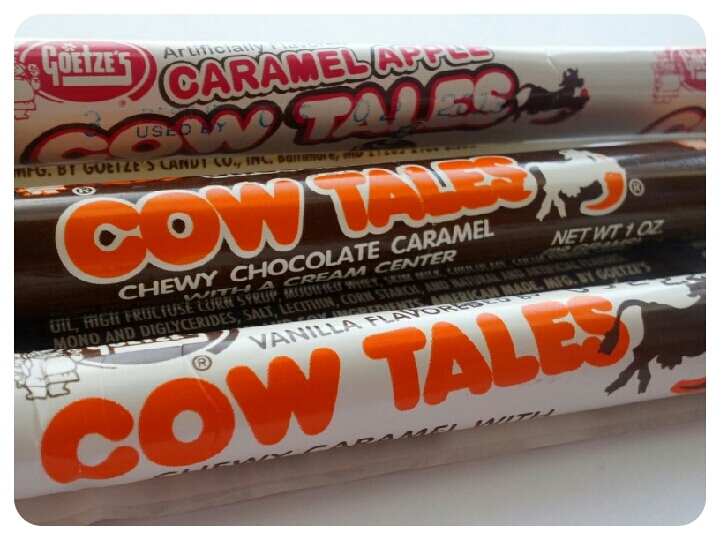 Cow Tales look wrong, but they taste oh so right! While I was never a fan of the hard Sprees, I loved the chewy ones when they came out. Were you a fan of Sprees? If so, which ones did you prefer? Cotton Candy was our jam! Candy you play with? Every kid’s dream! Candy blox and candy erasers were a candy that never should have been discontinued. They were just too genius! Takes us back to the days of slumber parties and Third Eye Blind. 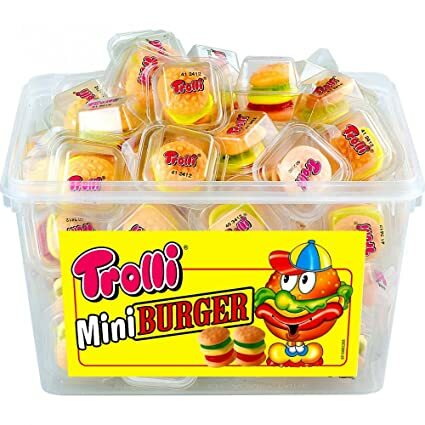 How fun was it to take these gummi burgers apart and rearrange them? I always like getting the not-so-tasty (in my opinion) parts out of the way like the lettuce and tomatoes, but once it came to the bun and cheese, you know I savored them for as long as I could. They gummis also came in hot dog and pizza shapes! Dare you to put three in your mouth at once! But we’re not liable! There are tales of Warheads burning holes in kids’ tongues, but while we can’t verify whether this is true or not, I will say that if it is, I’m not surprised. 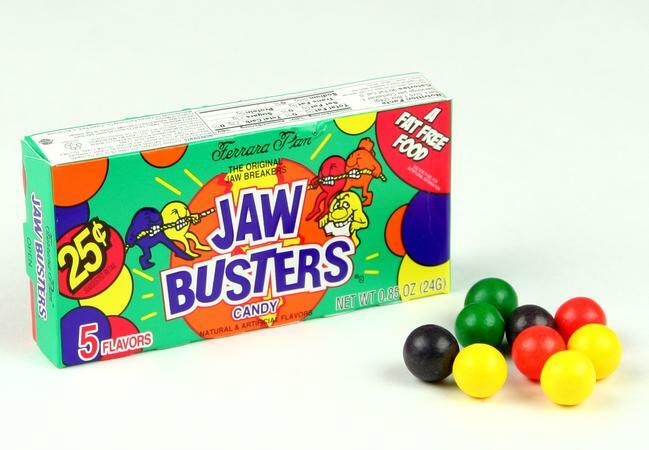 These candies were intense, man! 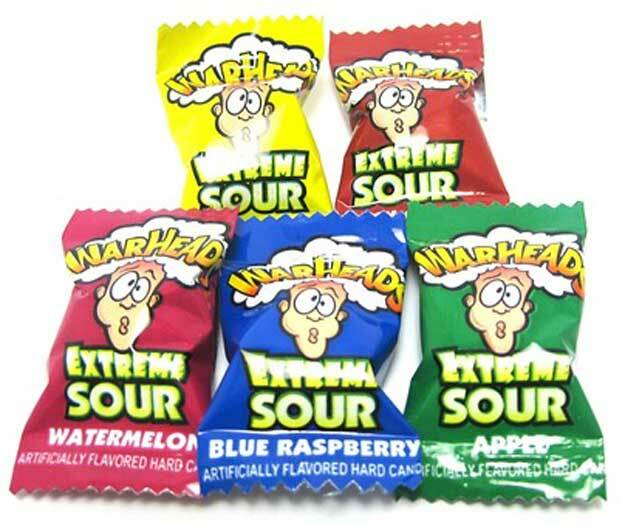 Who ever tried to eat them during class with friends and see who could stay quieter longer while their mouth was being burned to bits?